It’s been a busy few weeks leading up to today’s fall release but we’re pleased it is here and we can finally share our 2015 Alazan Pinot Noir (150 cases) and 2015 Tobiano Pinot Noir (275 cases) now available on our website. Our Old Corral Club members have already received their early allocations, along with the club-only special bottlings of our 2015 CJ’s Barrel Pinot Noir and 2015 Sabino Chardonnay. 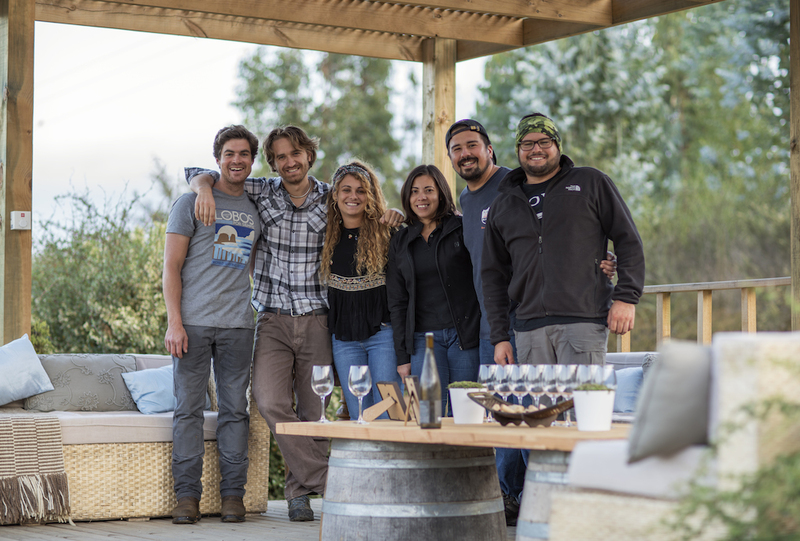 Some of our Old Corral Club members in California were even able to join us in my backyard last Tuesday to taste our new wines with our Chilean winemaker, Amael Orrego, who was visiting from Chile. The purpose of Amael’s trip was multifold but one was was to attend James Suckling’s Great Wines of the Andes events in Miami and New York and pour our 2015 Alazan Pinot Noir and 2014 Bayo Oscuro. 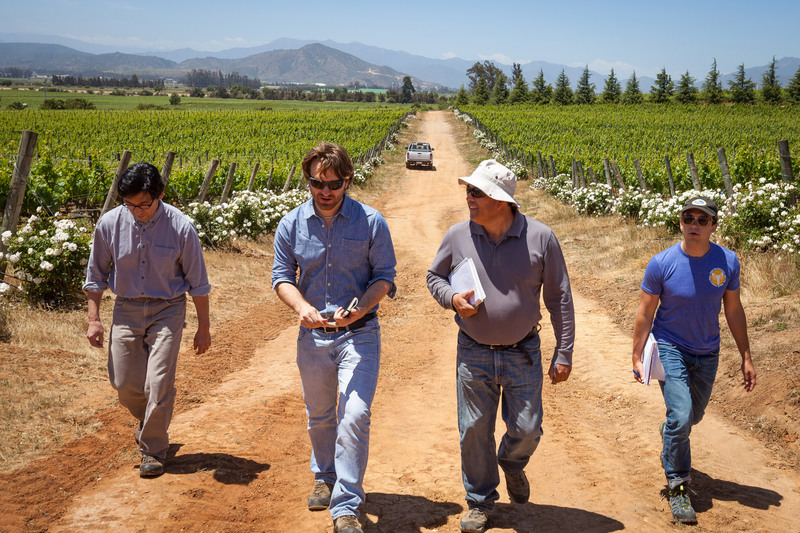 This year, for the first time ever, we previewed our wines to the press, sharing them with former Senior Editor of Wine Spectator, James Suckling, during his trip to Chile earlier this year. He awarded our three (then unreleased) Pinot Noirs 96, 95 and 92 points respectively, and our newest Syrahs 94 and 93 points. 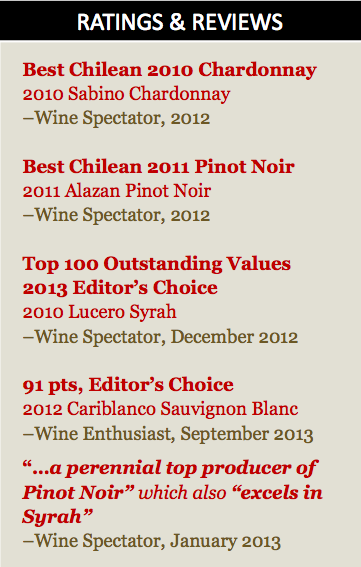 We’ve been fortunate to recently receive great accolades from other members of the press as well. In its current October 2016 issue, Wine & Spirits Magazine gives 93 points to our 2013 Lucero Syrah, namingit among their Top 100 Best Buy of 2016. 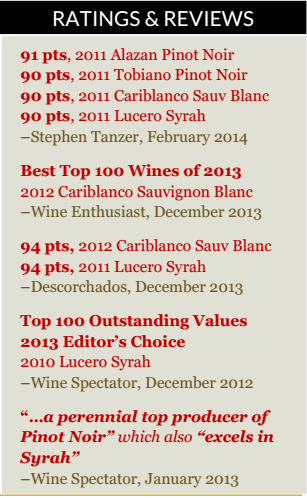 In its November 2016 issue, Wine Enthusiast awards 91 points to our 2015 Cariblanco Sauvignon Blanc, commenting:“[Kingston Family], one of Chile’s go-to producers of Sauvignon Blanc, has bottled a winner." 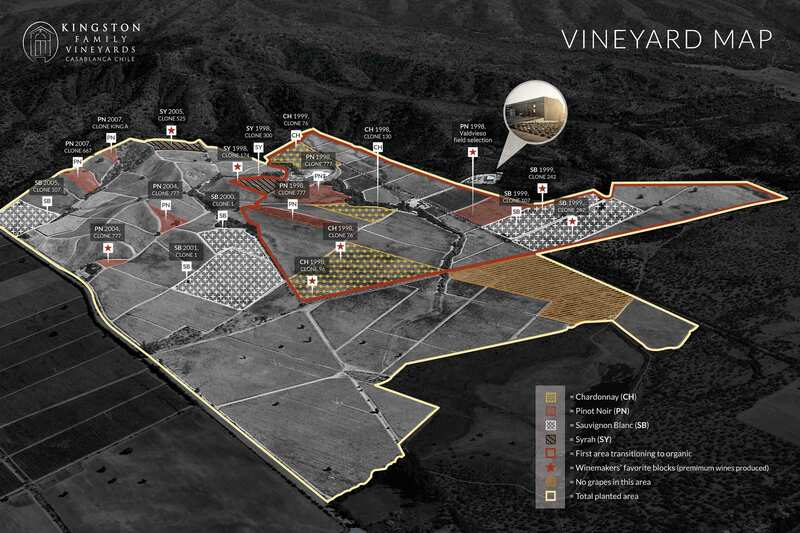 The 2015 vintage was exceptional. The brightness and energy of our new wines reflect the careful shifts our team has been making at the winery and in the vineyard. 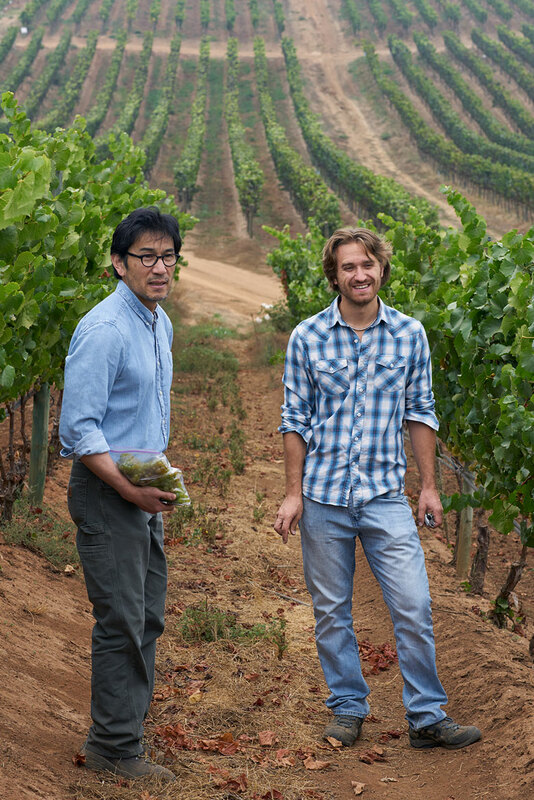 Our winemakers Amael and Byron explain more in their tasting notes (found when you click "Read more" in the descriptions on the individual wine pages linked) about the behind the scenes changes we’ve been making in the vineyard and the winery that you can now taste and see in the bottle. For those of you who order our new wines, I hope you’ll share with us any feedback you may have. 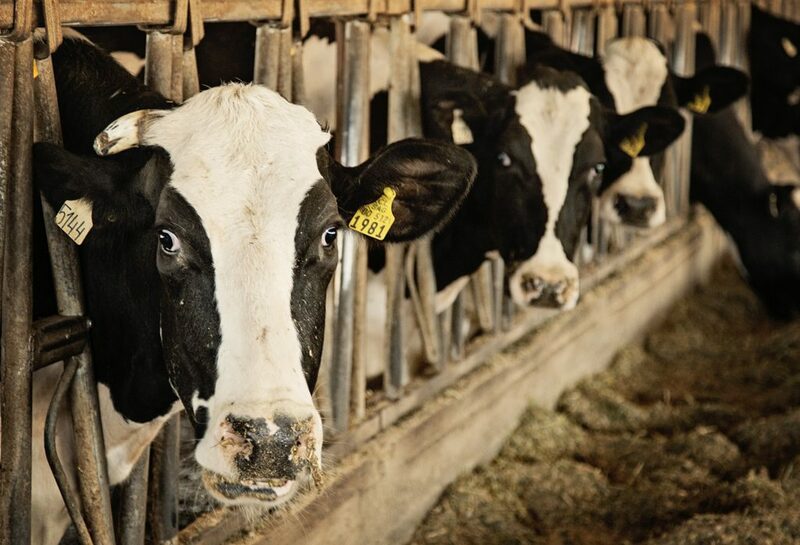 We are grateful for your support and enthusiasm for what we’re up to on the Farm. From all of us at Kingston Family, thank you for your support. For many, frost conjures up images of a crisp autumn morning and a white dusting on your neighbor’s roof or lawn. 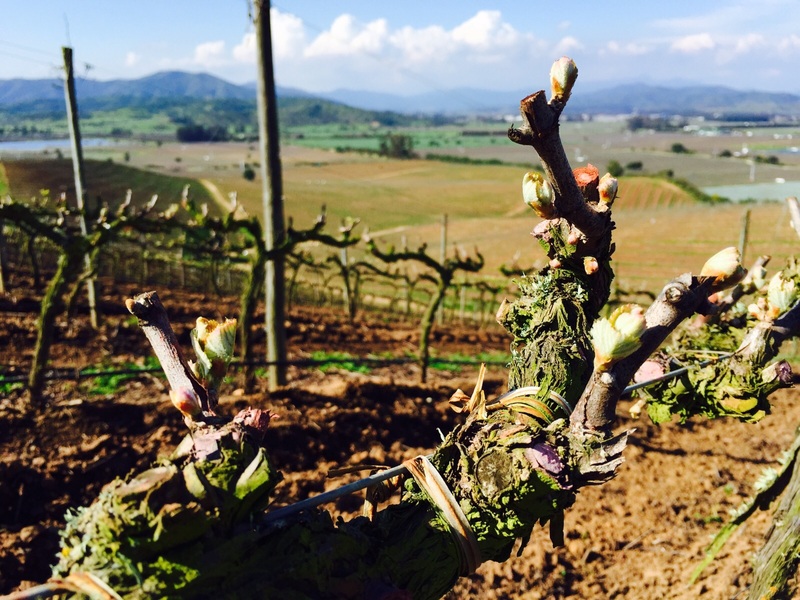 For our family’s vineyard in Chile, frost is also a hallmark of fall, but it is even more so a rite of passage for Casablanca Valley’s early spring. We have lived through almost 20 years of nail-biting induced by western Casablanca’s spring frost season. It has become part of what we expect each year, and we breathe a collective sigh of relief when late September comes and we’re finally in the safe zone. 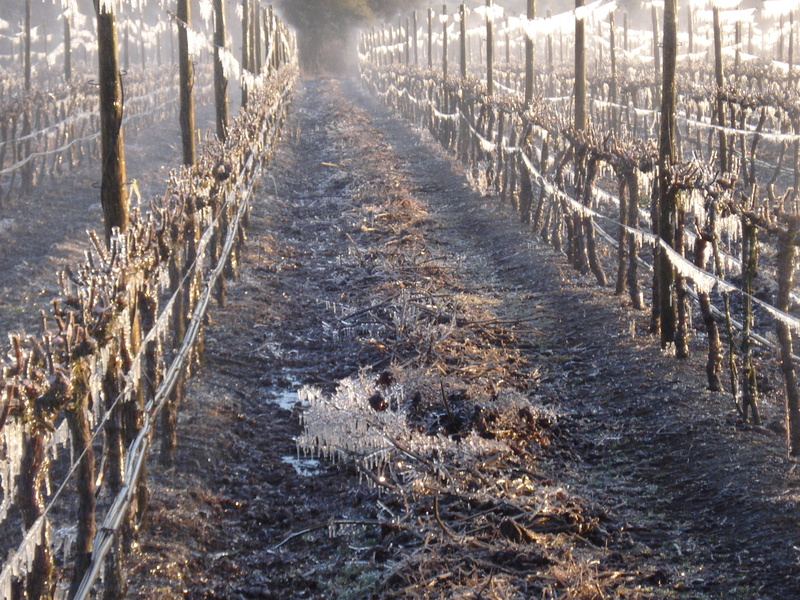 We have extensive frost protection throughout our vineyard, including overhead micro-sprayers and wind turbines. The micro-sprayers are usually most effective, because as the water freezes on the buds, it releases latent heat and keeps the new green growth warm. But given Casablanca’s 9-year drought, it means making a big bet with our most precious resource, water. Once we start the water sprinklers, we have to keep them on until the temperatures rise again above freezing. 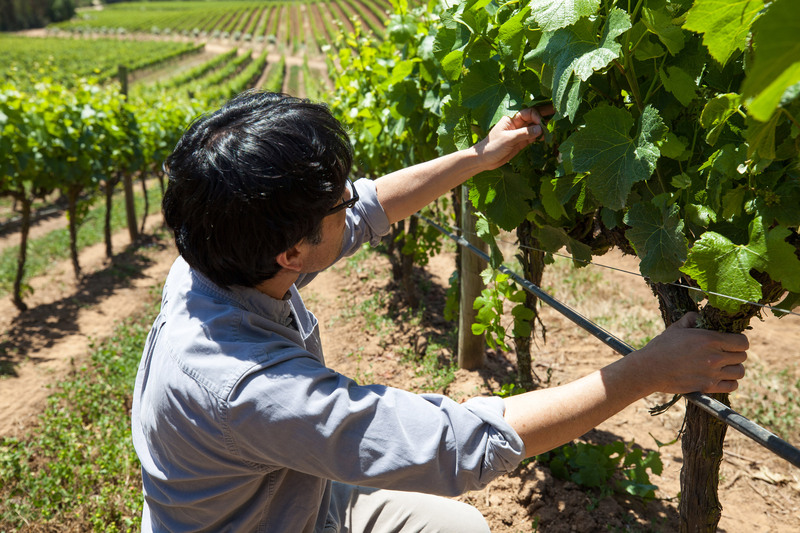 Thankfully, our vineyard manager Patricio and his crew are quite adept at 2am decisions about whether or not to use water on those clear, cold nights. 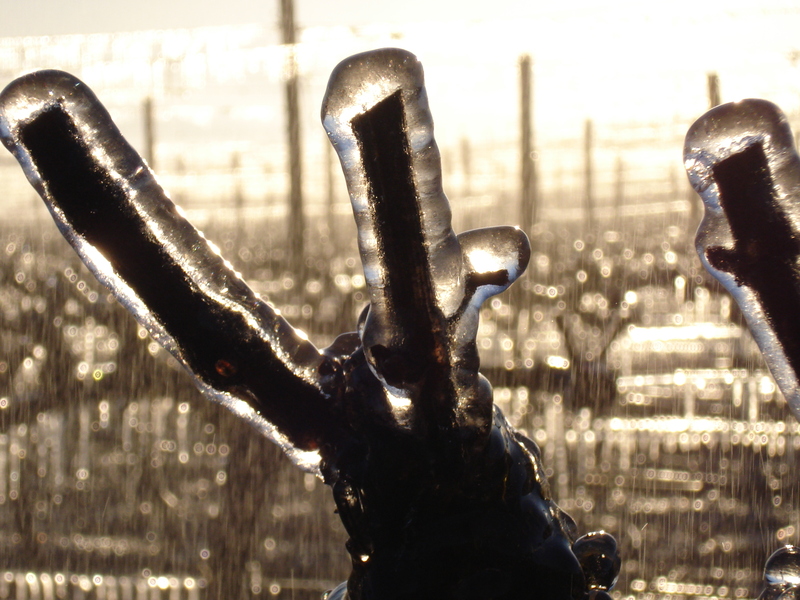 The 2014 vintage was particularly challenging, when the strongest frost in over 40 years hit us on the night of September 17, 2013. Similar to a 50-year flood or a forest fire, there was little we could do to counteract Mother Nature’s powerful freeze that night. But also akin to those devastating natural disasters—with time we saw small signs of rebirth. 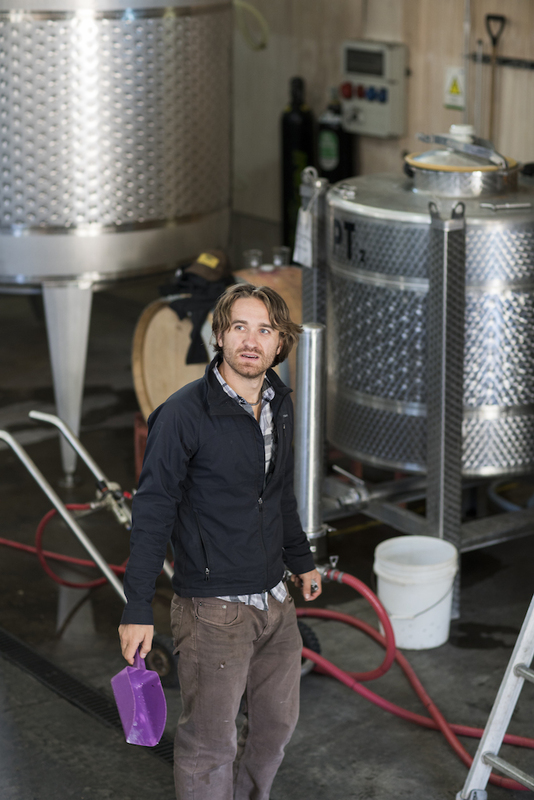 For this fall release, we made just 5 barrels of Pinot Noir and Chardonnay—bottling 50 cases of our 2014 CJ’s Barrel Pinot Noir, and 75 cases of our 2014 Sabino Chardonnay. 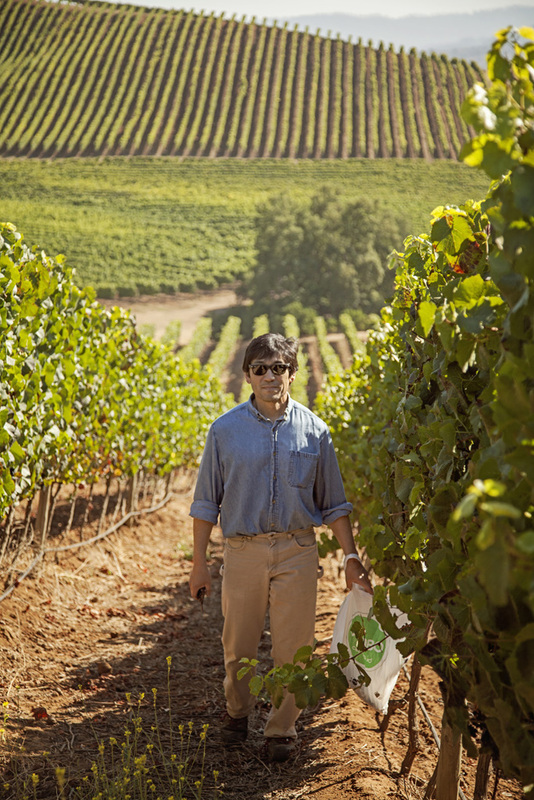 Despite the high farming costs and meager harvested grapes per hectare, we are especially pleased with the quality of these wines and think they are among our best ever. 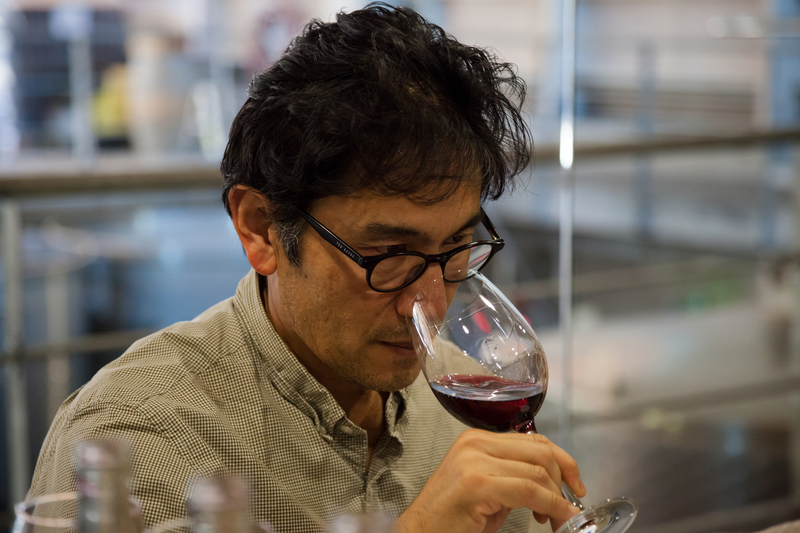 Our winemaker Amael Orrego commented in his recent tasting notes: “it’s wines like our 2014 Pinot Noir that inspired me to become a winemaker.” David Gates, our longtime vineyard consultant from California’s Ridge Vineyards, fortunately tells us outstanding wine frequently emerges from extreme frosts as the additional bud break produces low quantities of grapes, but exceptional fruit. Unfortunately due to the very low quantities, our new wines will likely be sold out immediately to our Old Corral Club members. For our general mailing list customers, we’re delving into our library to share some earlier vintages that have since been highly rated. I pulled together a fun set of my husband Andy's and my favorite wines that we too will be enjoying this Fall with our family and friends. Frosts and other challenges notwithstanding, our family is grateful for our farm, and for the opportunity to share our corner of the world with you. 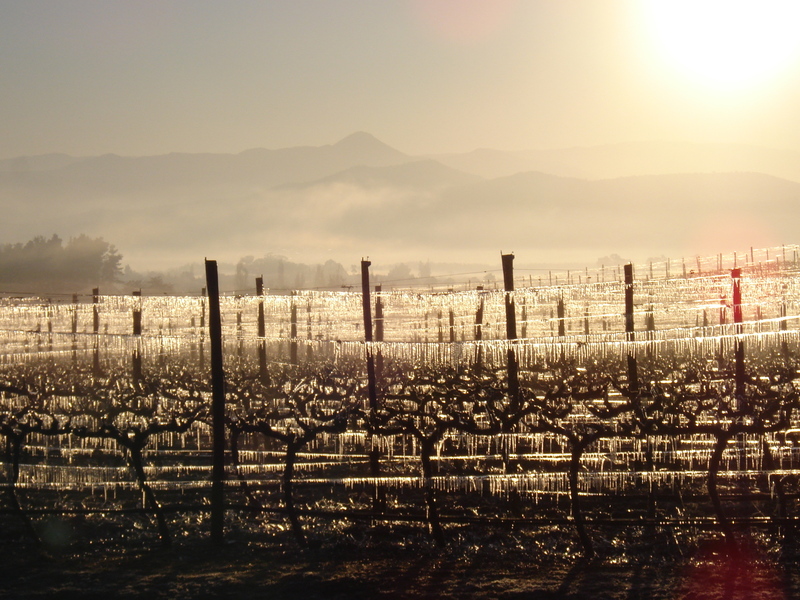 Thank you for your support and enthusiasm for our wines; it means everything to our small, family vineyard. 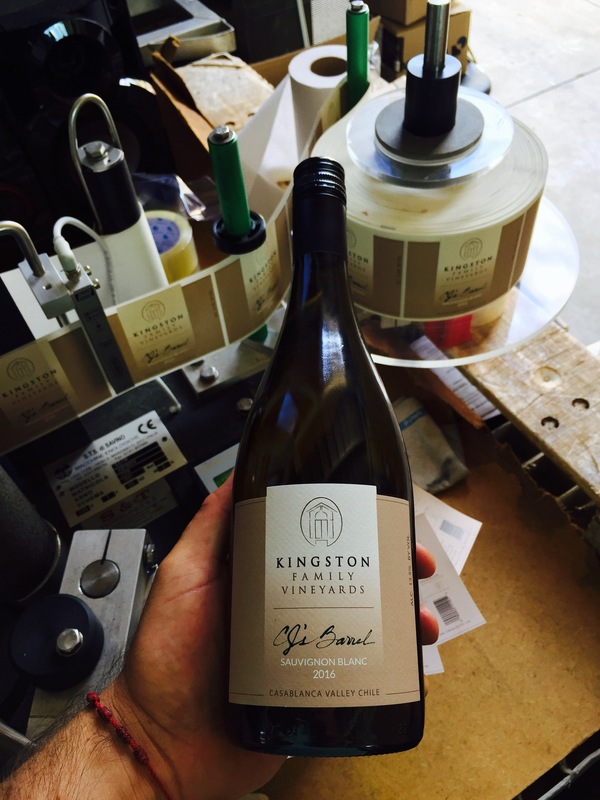 At Kingston we’re fortunate to have a small team, many of whom have worked on our vineyard or our farm for years if not decades. 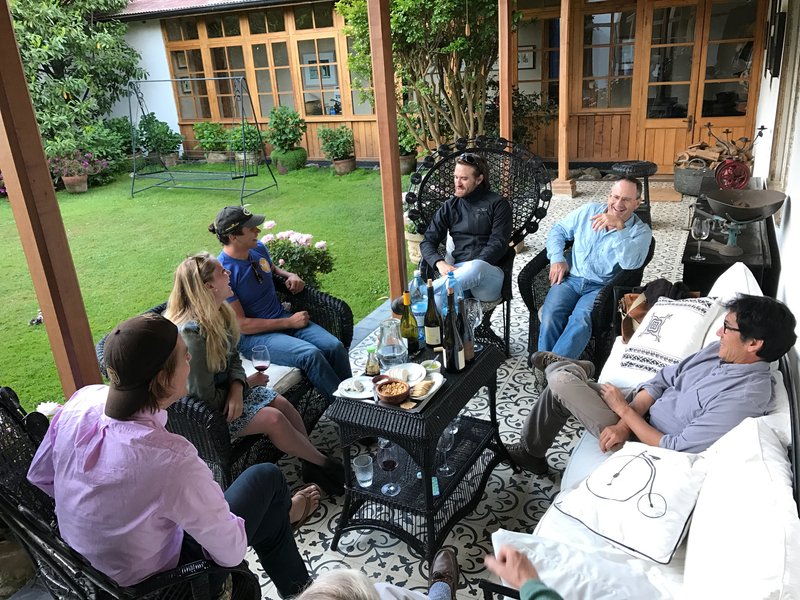 In many ways, everyone feels like an extended member of the Kingston family---some with stories that go back generations in Casablanca, and others who have called our small corner of Chile home more recently. We thought it would be fun to continue to share the stories of the people behind Kingston---this month telling you more about Pilar Jara, our enologist at the winery. Pilar grew up in Concepción, Chile’s second largest city after Santiago, located about a six hour drive south of Santiago. (Most recently, Concepción made national headlines in 2010 when an 8.8 magnitude earthquake hit nearby). When Pilar turned fifteen, her family moved north to the Casablanca Valley in search of work. They settled in Casablanca for a few years, but her parents ultimately returned to Concepción. Pilar chose to stay behind. 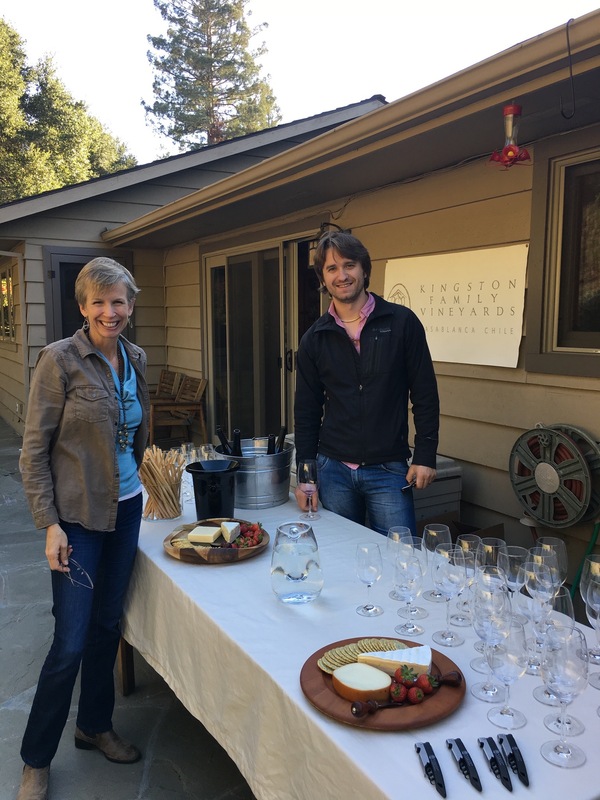 In 2005, she came to Kingston to work harvest and pick wine grapes as part of our vineyard manager, Patricio Monsalva’s team. Pilar made a name for herself with her dedication and can-do enthusiasm, and soon caught the eye of Evelyn Vidal, our winemaker. In late 2005, we broke ground on our own small winery at Kingston. (Prior to that, we had been making our small-lot wines in a small rincón (corner) at our neighbor's winery, Casas del Bosque.) Evelyn asked Pilar to join the founding crew at the winery for the 2006 harvest. 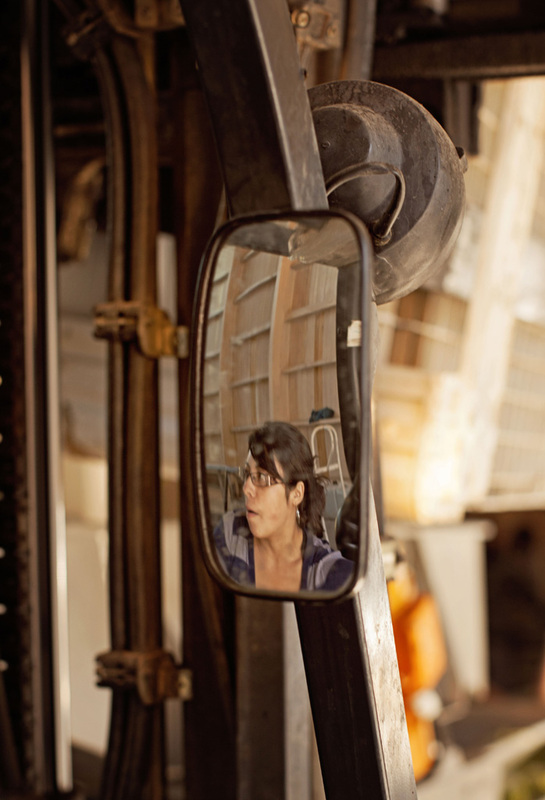 That year Pilar quickly learned to do every job from punch downs and pump overs to driving the forklift (which you can see her doing in the picture below if you look closely at the mirror). She learned almost every facet of winemaking through her hands-on experience in the vineyard and the winery. 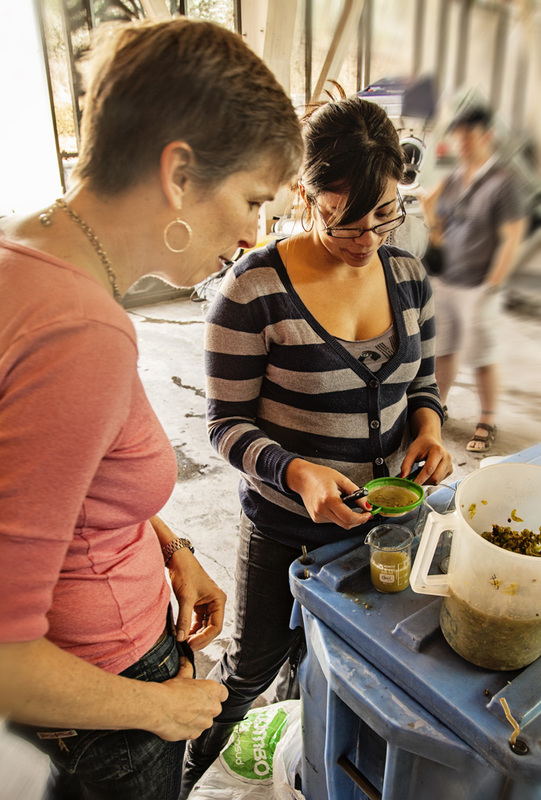 With Evelyn as her mentor, Pilar soon took on all the enology work in our winery’s small laboratory. 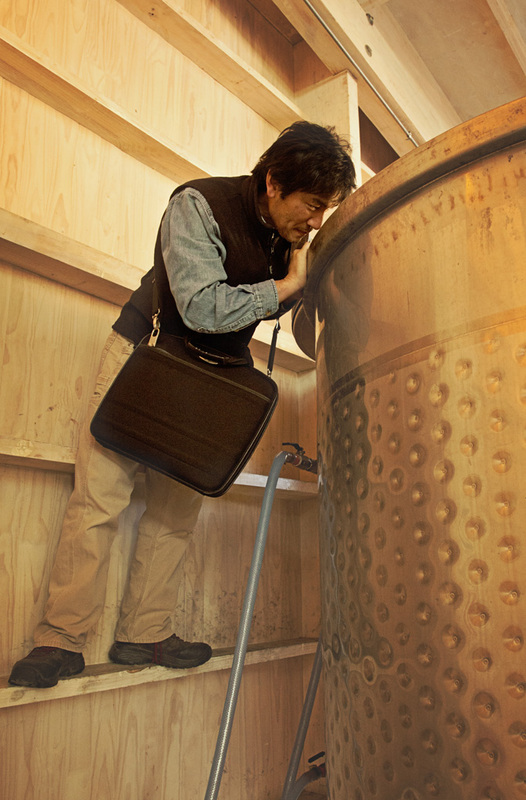 There she studied each vintage’s fermentations and young wines in barrel, always keeping our team appraised of each tank or barrel’s composition---an important and key part of top quality winemaking. Three years ago, Pilar took the initiative to invest further in her career by studying in the evenings at the Universidad de Playa Ancha in Valparaíso. With our support, she’s been pursuing a degree in Chemical Analysis and will graduate later this year. 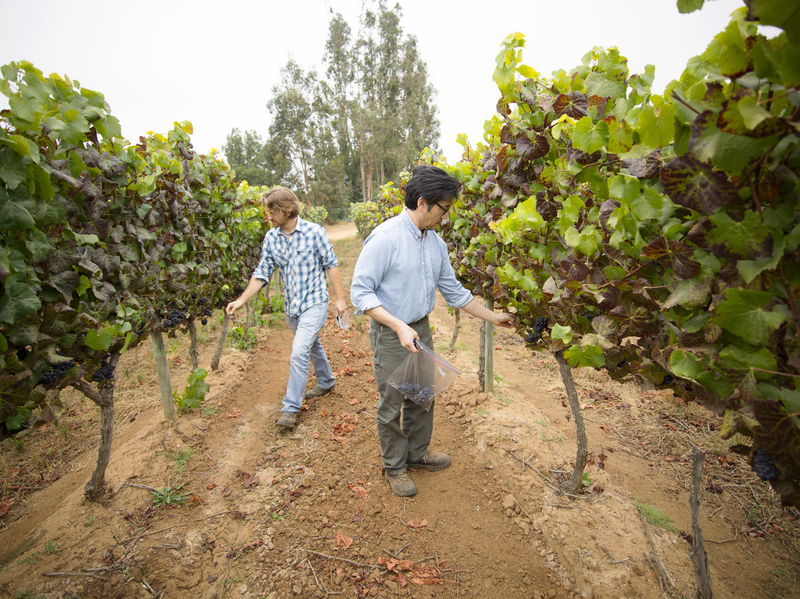 On top of her studies and full time work at the winery, Pilar has raised two boys, Felipe and Diego. We couldn’t be more proud of Pilar. She is a treasured member of our family and team, and an inspiration for us all. When you come visit us in Casablanca, say a special hello to Pilar. Along with the rest of the team at Kingston, she’ll look forward to welcoming you.